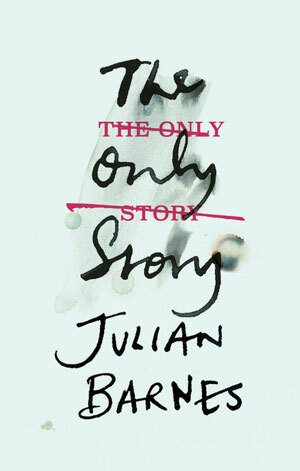 If Julian Barnes had not been such a good writer, he would have been a very depressing one. His oft-recurring theme is death: in Nothing to Be Frightened Of, the nothing Barnes is (very) frightened of is death; in the short story collection, The Yellow Table, the eponymous table is death; in Levels of Life, despite the title, Barnes movingly recalls the death of his wife. And yet, insists Barnes, or the narrator of his latest novel, the only story is love. Well, death and love have been companions for centuries, and here, too, love is death-directed. The love that is the narrator’s only story is that, initially, between a 19-year-old boy, Paul, and a 55-year-old woman, Susan. Problematic as this may seem, it gradually morphs into the far more problematic love between a 30-something man and a 60-more-than-something woman, who also happens to be a hopeless alcoholic. Only a writer of Barnes’s calibre could have turned this dismal premise into a highly readable, even enjoyable novel. No matter how grim the subject matter, Barnes’s lively intellect and wit keep the interest, even â€¨as the narrative moves from cheerfully insouciant youth to resigned old age: by novel’s end the narrator, his lover long dead, â€¨is a vaguely contented cheese-maker in Somerset. I don’t feel that revealing the ending is a spoiler, in that this is not really a what-happens-next kind of novel. It is, rather, a book-length disquisition on the topic of love; more specifically: what is love? (An earlier novel of Barnes’s is called Love, etc.) The narrator in fact keeps a notebook in which he writes down definitions of love he comes across, and crosses out as he discovers their inadequacy or inaccuracy. One that he preserves as valid is: “In my opinion, every love, happy or unhappy, is a real disaster once you give yourself to it entirely.” Of course, that’s not a definition, merely an observation, and by novel’s end, Paul decides that “Perhaps love could never be captured in a definition: it could only ever be captured in a story”. The second part of the novel traces the gradual decline of Susan into alcoholism (it seems both grotesque and sad that her tipple of choice is sherry), with Paul doggedly keeping to his belief that this, too, is what love is: a patient, never-irascible pretence that there’s nothing wrong, putting up with her vaguely resentful taking-for-granted of his ministrations, while still trying to build a career for himself as a lawyer. Barnes here manages the almost-impossible, in depicting Paul (sometimes in first-person, sometimes in third, even in second-person narration), as entirely unselfish, without becoming a martyr or a saint. This, believably, is also love. But even this is not the last of his trials. The third section, written in Paul’s late middle age, looks back at Susan’s final decline and death – and yes, the extinction of his love, or at any rate of his caring, as he decides, not unreasonably, that he must salvage what is left of his life, and hands Susan over to the care of her daughter and, eventually, the state. So if the only story is love, it does not, it would seem, have a happy ending. Journey. Where are you going? Go on Mamas. Make my day!